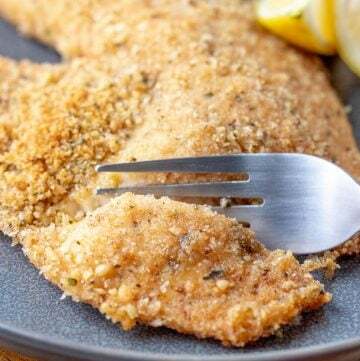 Parmesan Crusted Tilapia is deliciously crisp on the outside and incredibly moist on the inside using one simple trick. 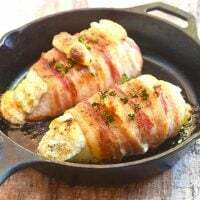 Quick and easy to make for busy weeknights! 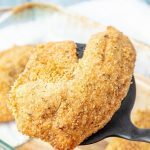 Parmesan Crusted Tilapia is one of my favorites to make for our weeknight dinners at home. I love how easily I can put the dish together with basic pantry ingredients and one simple trick. 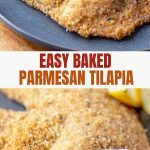 The baked parmesan tilapia turns out delightfully crisp on the outside and incredibly moist on the inside with hardly any effort. There’s no messy dipping in eggs and dredging in flour required! 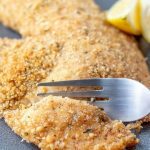 The simple hack I use is brushing the fish fillets with mayonnaise before coating them in breadcrumbs. 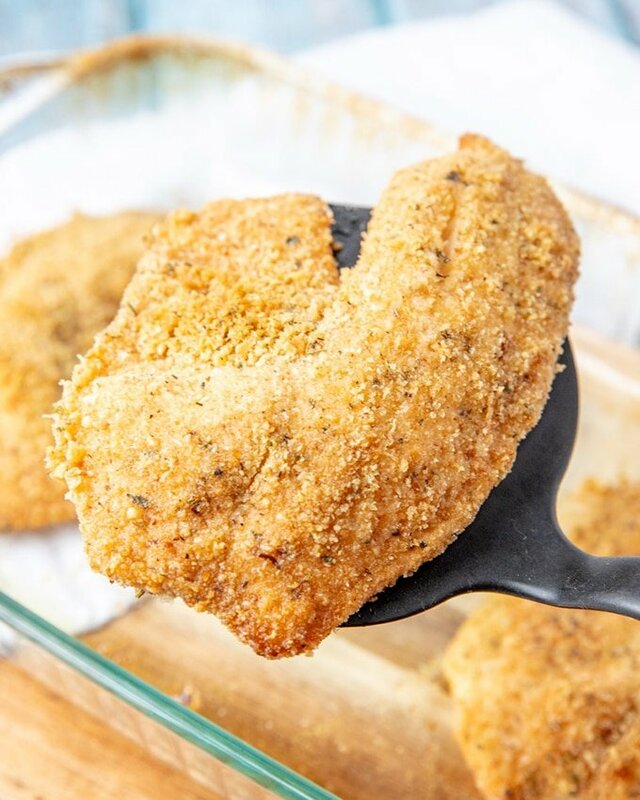 This little step makes the bread coating stick well and the fish extra moist and flavorful. Make sure to pat the fish fillets well before applying the mayonnaise. 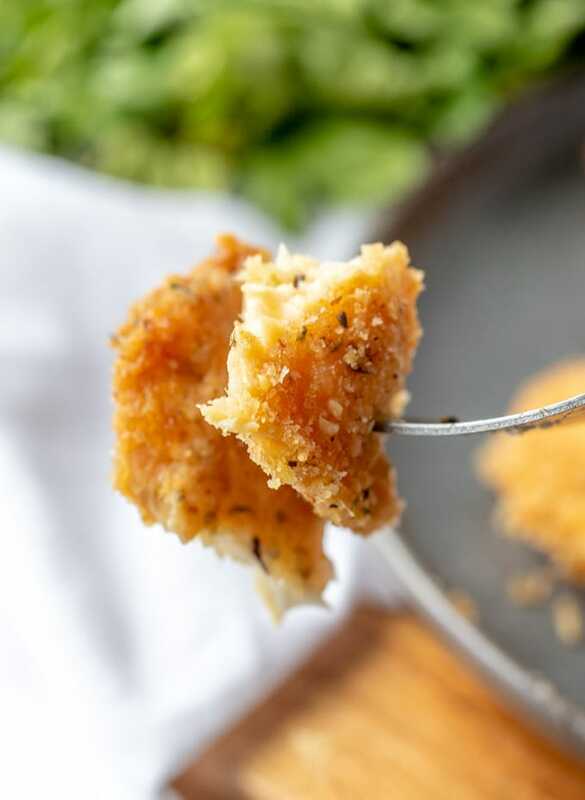 For extra crunch, swap regular breadcrumbs with Panko. 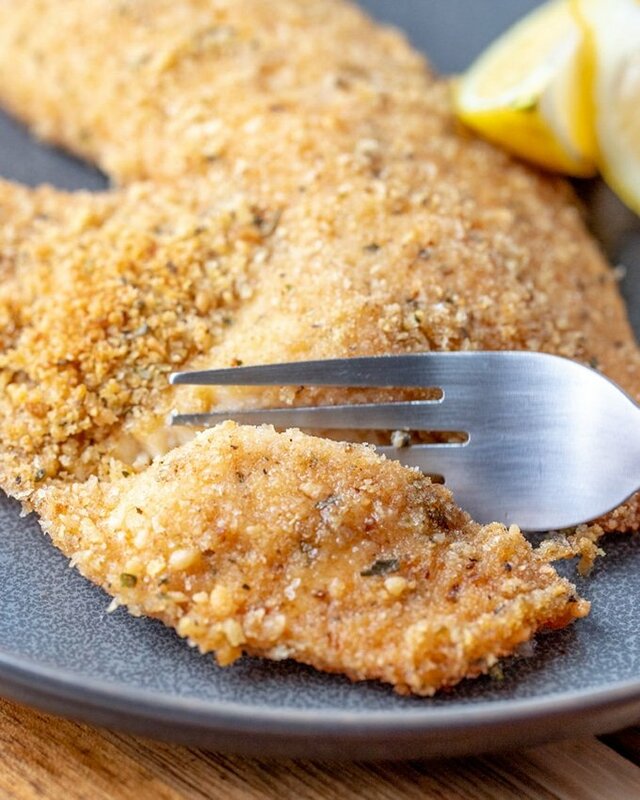 To help the coating brown in the oven, spray the breaded fish with non-stick cooking spray or lightly drizzle with melted butter. Complete your meal with delicious sides of ranch potatoes or rice pilaf and roasted vegetables or tossed salad. 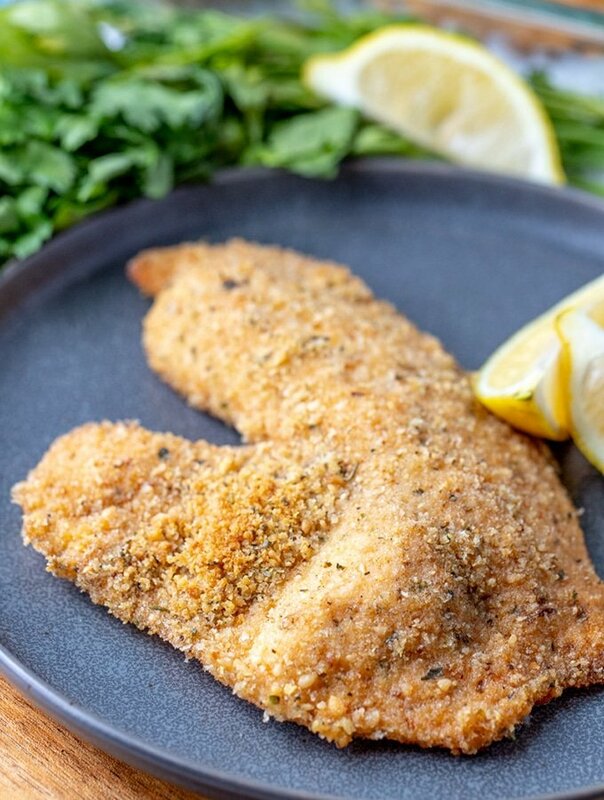 Serve the baked fish with lemon wedges to add fresh flavor. 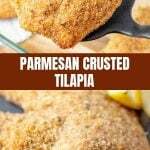 Give this parmesan tilapia recipe a try and have scrumptious fish dinner the whole family will love ready in 20 minutes! I hope to see you tomorrow for last minute Halloween fun ideas before we kick off our Christmas series next month. 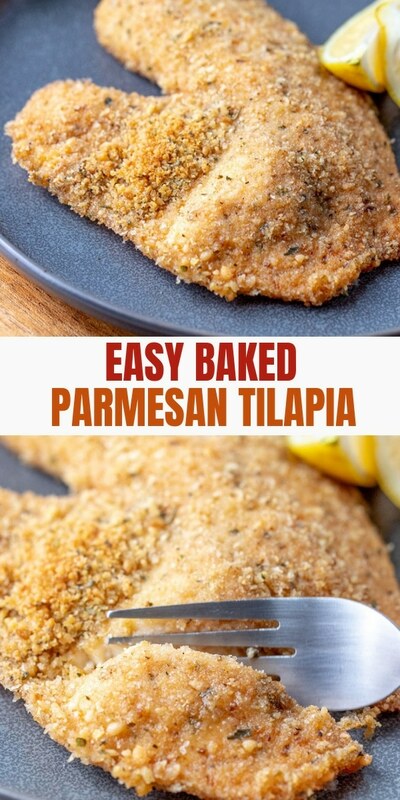 In a bowl, combine breadcrumbs, Parmesan cheese, Italian seasoning, garlic powder, and salt and pepper to taste. Wash tilapia and pat dry. Brush both sides of each fish fillet with mayonnaise, covering all surface. Dredge in breadcrumb mixture, patting down crumbs to complete coat fish. 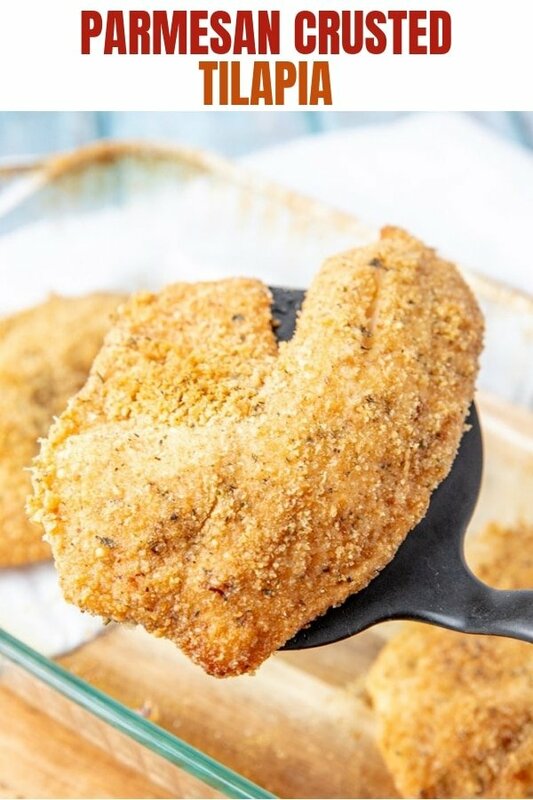 Arrange breaded fillets on a lightly greased baking dish. Lightly spray fish with cooking spray. 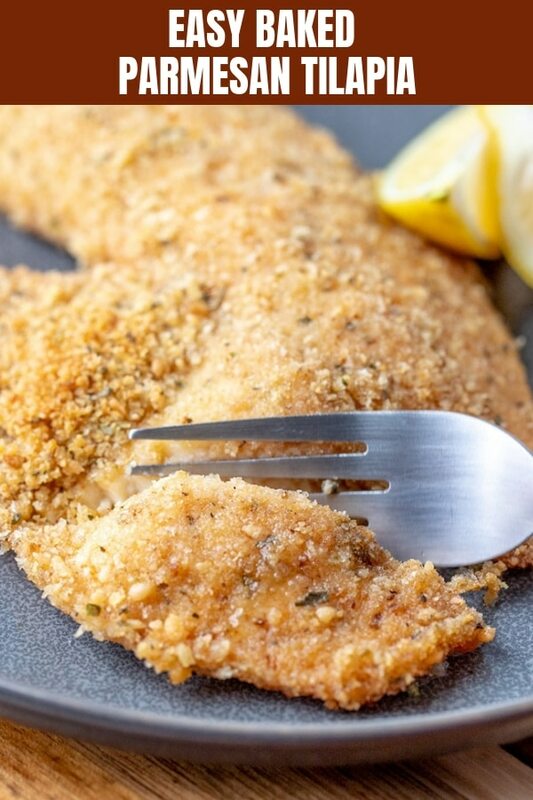 Bake in a 400 F oven for about 10 to 15 minutes or until breading is golden brown and fish flakes easily with a fork. Serve hot.